Today we pack our bags and go back to Stockholm. 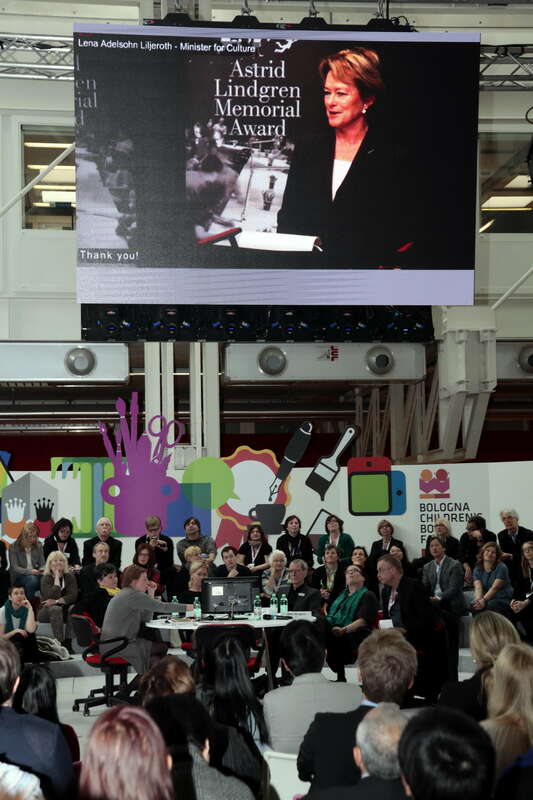 It´s been (as usual) a fantastic week at the Bologna Children’s Book Fair, meeting representatives from the book industry, nominating bodies and, last but not least, announcing this year’s laureate Barbro Lindgren. Here are some images taken by the Pasquale Minopoli, photographer at the fair. 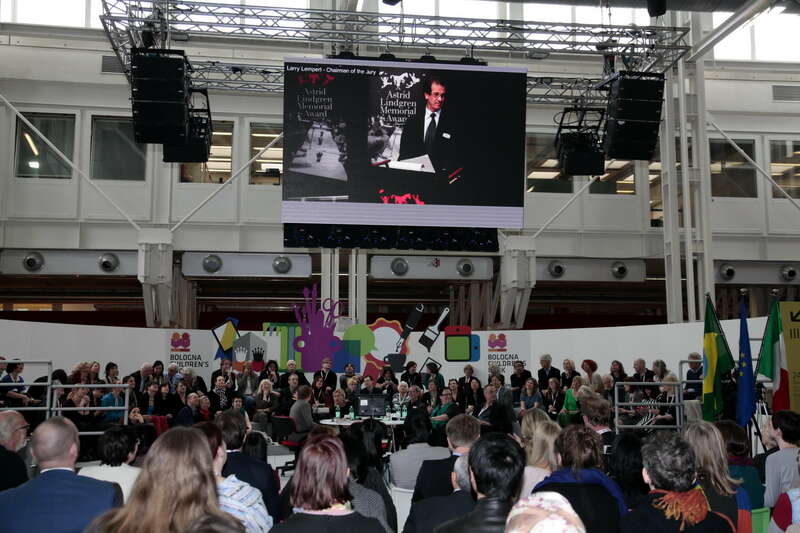 Speech by Minister for Culture Lena Adelsohn Liljeroth on a streamed link from Stockholm. 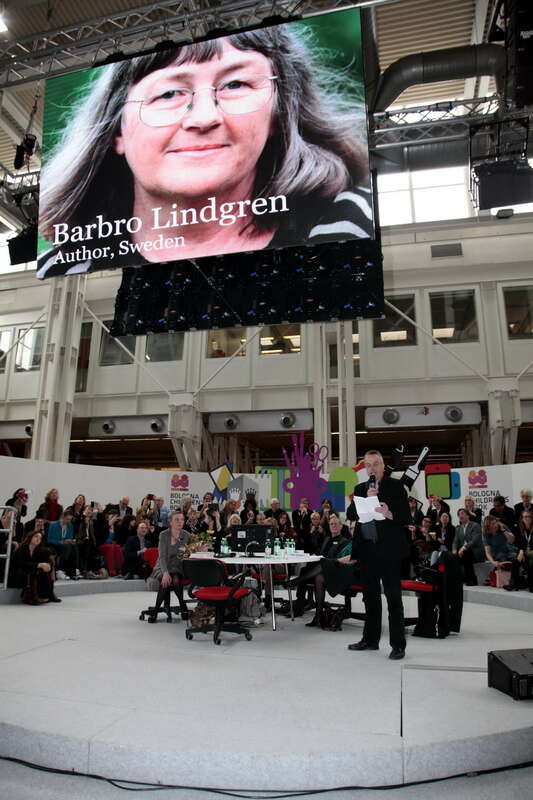 …author Barbro Lindgren from Sweden. Jury member Mats Berggren presents Barbro Lindgren’s works. A happy publishing director, Ann Sköld Nilsson from publishing house Rabén & Sjögren. 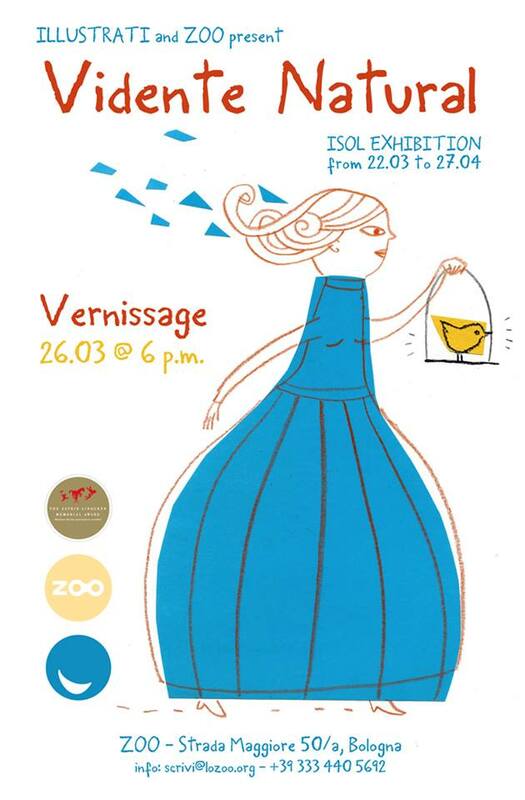 Tomorrow jury member Mats Kempe presents the new ALMA laureate Barbro Lindgren at the Swedish Institute for Children’s Books. 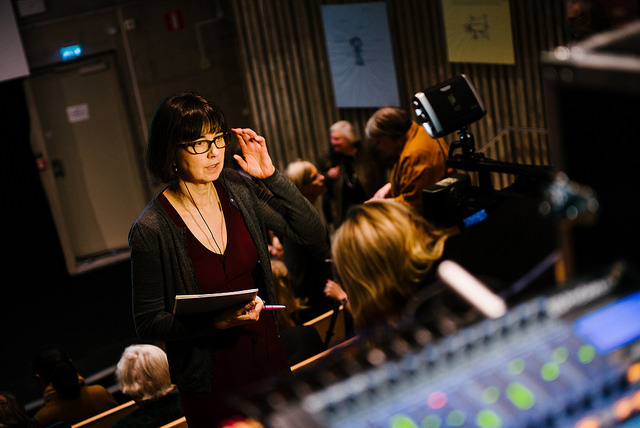 Furthermore, given that Barbro Lindgren was awarded the ALMA yesterday, Swedish national television have decided to broadcast the documentary “At last Monday – a film about Barbro Lindgren” (in Swedish) (Äntligen måndag – en film om Barbro Lindgren”). The film was produced by culture program K-special two years ago. 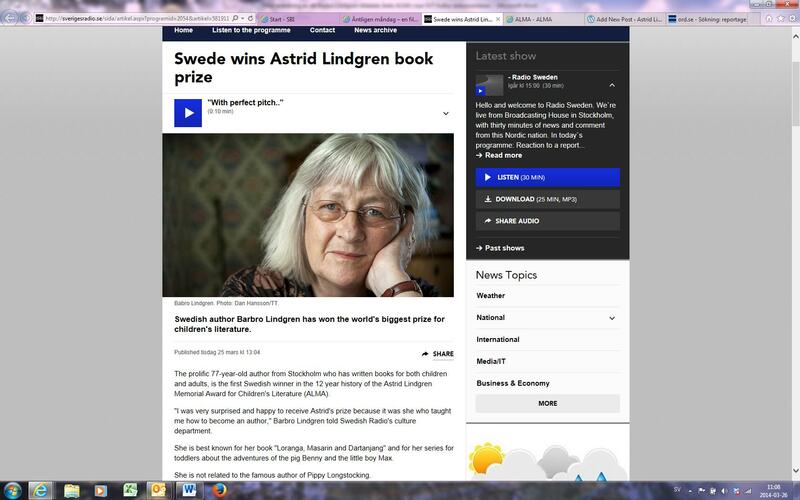 Also, a report from Radio Sweden from yesterday! Link here. 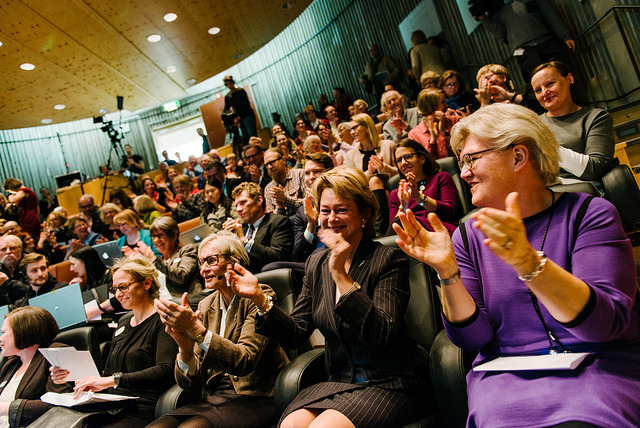 Announcing a new ALMA laureate is not something that´s possible without the assistance from a lot of professional colleagues and co-workers both here in Stockholm and in Bologna. To all of you – our warmest thanks. Here are some lovely images from today’s event at the National Library. National Library of Sweden. Photo: Stefan Tell. Interviews with media. 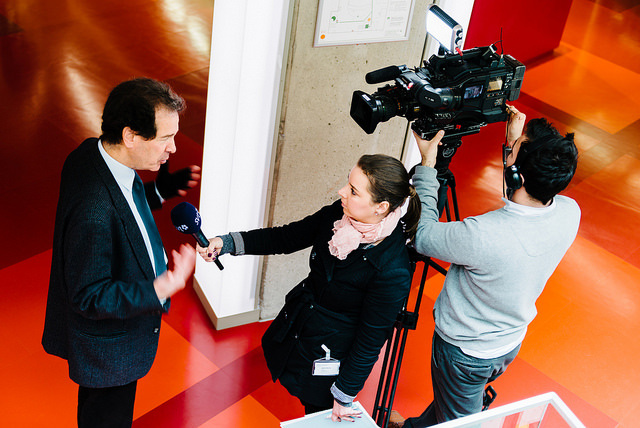 Photo: Stefan Tell. 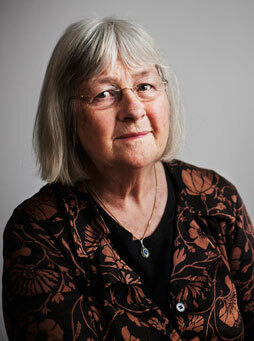 Barbro Lindgren is a literary pioneer. Using adventurous language and rich psychological nuance, she has re-invented not only the picture book for the very young but also the absurd prose story, the existential children’s poem, and realistic fiction for young adults. With perfect pitch, she presents to us both playful shenanigans and moments of bright joy, and the inscrutable nature of life and the nearness of death. Barbro Lindgren’s stories are often humorous and always possess a uniquely warm tone of voice that speaks directly to the child, whether she is offering amusing escapades or more serious reflections. She has a singular capacity to remember and convey what it was like to be a child, and her seemingly simple style recreates atmospheres and moods that resonate with all her readers, regardless of their age. Barbro Lindgren has an education in the arts and illustrated several of her own books, including her first book, Mattias sommar (Mattias’ summer, 1965), and the absurd tale of Loranga, Masarin och Dartanjang (1969), about a world where anything can happen. Sagan om den lilla farbrorn (The Story of the Little Old Man, 1979) marked the beginning of a long-lived co-operation with the illustrator Eva Eriksson. Their greatest success came with their series of picture books about little Max and the everyday adventures in the life of a small child. Meanwhile, in Mamman och den vilda bebin (The Wild Baby, 1980) a baby has adventures that are anything but ordinary. More realistic works include the autobiographical series of books in diary form, Jättehemligt, Världshemligt and Bladen brinner (Big Secret, Top secret, Pages on fire, 1971-73). Here, the author portrays a young girl’s encounter with love and her existen-tial reflections about life. Death seems always close at hand, a theme we see again in the series about Sparvel (1976-79), which depicts the author’s life from age four until she starts school. Reflections on the meaning of life also appear in the fiercely original chapter books Vems lilla mössa flyger (Whose little hat is flying, 1987), Korken flyger (The cork is flying, 1990), and Vad lever man för (What-Are-We-Living-For, 2006), where worn-out stuffed animals are among the unusual cast of characters. Here, Barbro Lindgren finds humor even in a funeral, and refilling the stuffing of a toy elephant can bring it back from the dead. 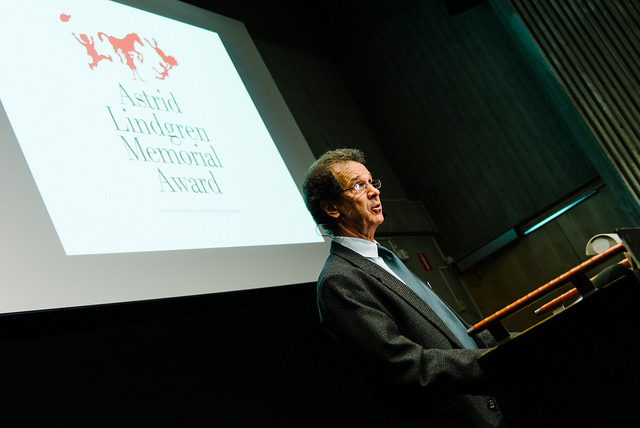 The Astrid Lindgren Memorial Award (ALMA) will be presented in a ceremony at the Stockholm Concert Hall on June 2, 2014. 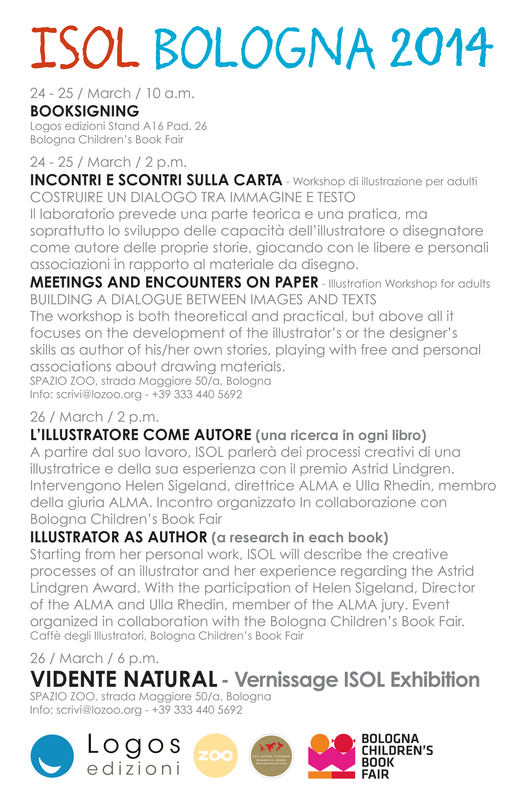 There´s a lot going on in Bologna next week in connection with the Children’s Book Fair. Last year’s ALMA laureate Isol has an extensive program. Have a look at these lovely posters. Guardian Children’s Books focus on translated children’s literature next week! We are the Guardian children’s books site devoted 100% to reading for pleasure. Our site is written for children and mainly by children – all our reviews are written by children under the age of 18. The books are written for them so why shouldn’t they be the ones to have their say over them?! Please do come and visit us and we welcome international members to the site. Our reason for being is to help children explore books, find new books to read, share ideas and love books. 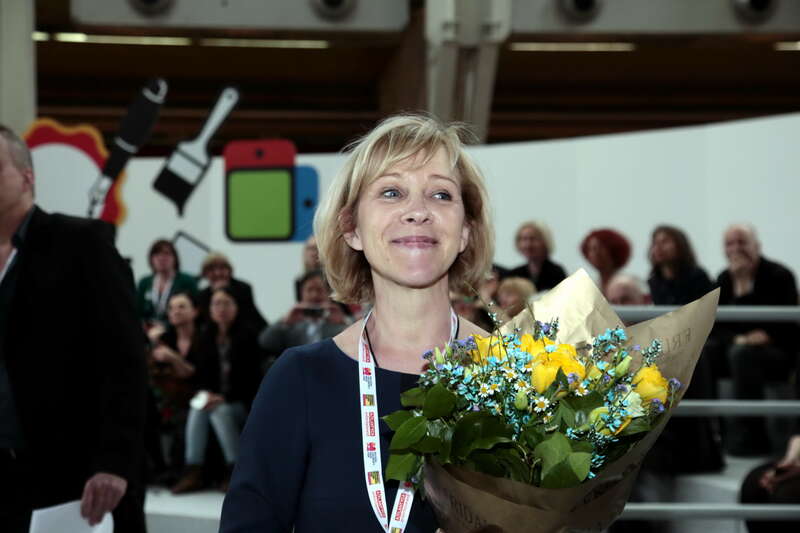 We wanted to support the Astrid Lindgren Memorial Award because we are not just about children reading in the UK, we have members all over the world, both individual and book groups. So to celebrate the ALMA from 24 March, we are running a whole week devoted to translated literature. To kick off on Monday 24 March, we are having a discussion on which translated books our members love. We’ll be pulling out reviews of translated books that we have one the site, we have some really fantastic ones! We also have an extract of the wonderful Letter for the King by Tonke Dragt and a competition to win some copies of the book. 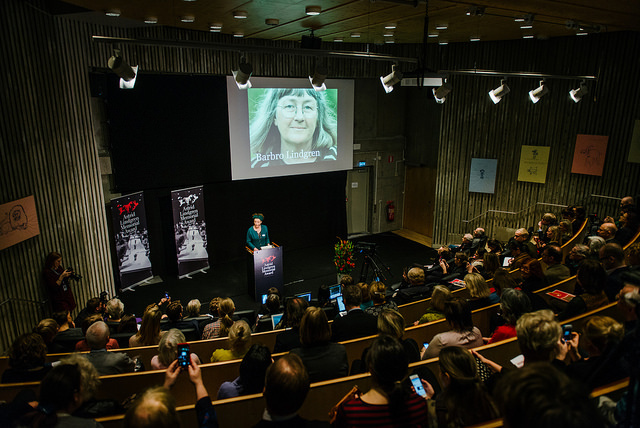 Then on Tuesday 25 March we’ll be live blogging the Astrid Lindgren prize. We’ll be following www.alma.se/en and interviewing jury chairman Larry Lempert after the announcement. If you are at the prize please do tweet us your thoughts, comments and observations @gdnchildrensbks. We’ll be following @awardofficealma as well. We’ll also have a fun literature in translation quiz on Tuesday. On Wednesday we’ve got a podcast interview with the creators of the amazing Oksa Pollock, Cendrine Wolf and Anne Plichota – which has become known as the French Harry Potter. A new book from Oksa Pollock: The Forest of Lost Souls is just out. 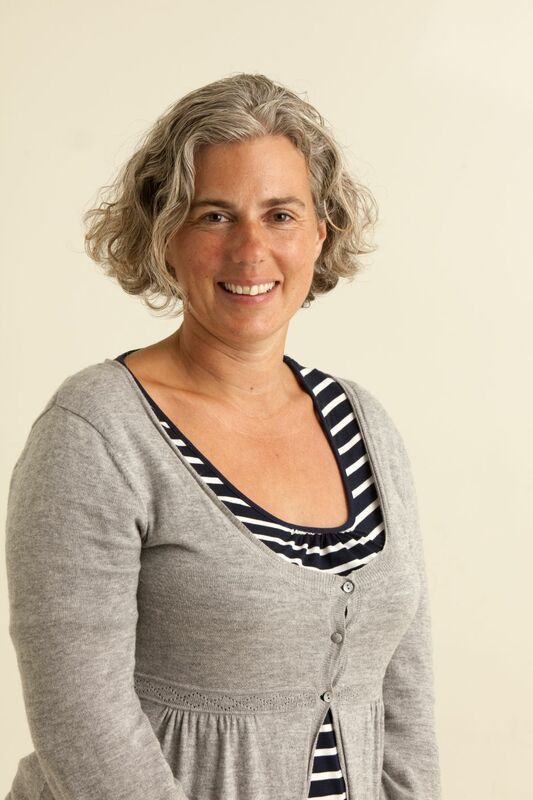 On Thursday we have a top 10 books in translation by Asterix translator Anthea Bell. On Friday we’re having a gorgeous gallery from Sarah Ardizonne who has won the March Award for Children’s literature in translation twice, surrounding a lovely new picture book April the Red Goldfish by Marjolaine Leary and translated by Sarah Ardizonne – the gallery is going to focus on the skill of translating books from one language to another. Throughout the week we’ll also be highlighting some great reviews of translated fiction on the site. 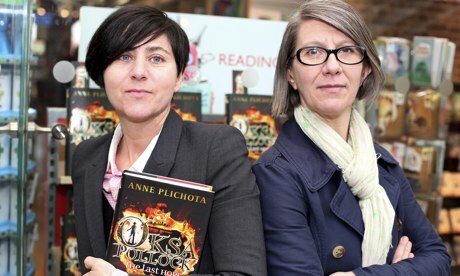 Anne Plichota and Cendrine Wolf, authors of Oksa. Photo: Guardian Children’s Books. The Swedish Institute for Children’s Books state in a press release today that the gap between the number of Swedish and translated books has increased significantly, according to statistics for published books for children and young adults in Sweden 2013. The publication of books by Swedish authors increases noticeably at the expense of the translated books, 59% were Swedish originals and only 41 % were translations. The Swedish Institute for Children’s Books is a public research library collecting and making literature for children and young people accessible. More about the institute here. When I was first asked to take on the work of cataloguing Astrid Lindgren’s private archives, donated by the author (and later her estate) to Kungl. 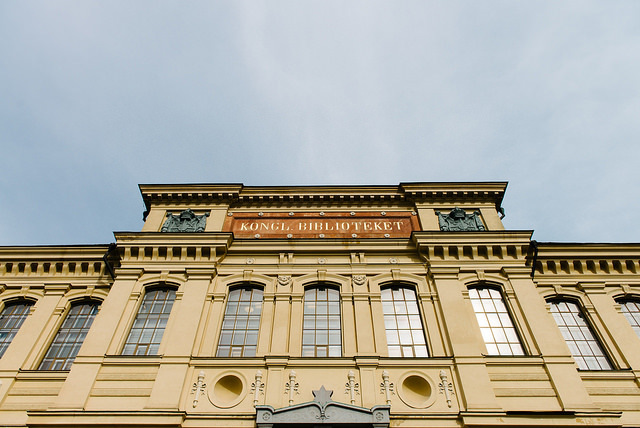 biblioteket, The National Library of Sweden, I had no idea the work would fill the rest of my professional career. It took the better part of ten years to get the several hundred boxes, sacks, envelopes and rolls of the archives sorted and catalogued. Sitting in one of the library’s underground piles of books at a desk earlier belonging to and made by the Nobel laureate Pär Lagerkvist with his own hands, I opened box after box and sack after sack and started the sometimes both tedious and dirty work of trying to bring some order to the material. Letters in one pile, clippings in another and manuscripts in a third etc. Archive work is usually not very glamorous, more a question of patience and persistence. A bit like panning gold. And sometimes you find a gold nugget! A letter from Björn Berg, the illustrator of the Emil-books, wondering what kind of clothes Emil was wearing on Sundays, the letter illustrated with wonderful drawings in colour, or a dusty and dirty plastic folder with the original manuscript to ”The Brothers Lionheart”, or a carbon copy of a long letter to Astrid Lindgren’s Danish translator revealing Lindgren’s linguistic considerations when writing ”Ronia, the robber’s daughter” or a manuscript to a very early text I had never seen before. Those ”gold nuggets” made up for hour after hour of beggers’ letters, or uninspired letters from school classes, all beginning in the same way: ”Our teacher said we have to write to an author …”, or even one or two letters from myself years ago. Looking back at it, the work felt like putting a giant jig saw puzzle together; some pieces I recognized at once, others filled in gaps in my previous knowledge of the author and her work and some things were completely new. Together all these pieces in the end formed a much more interesting and complex picture of the author and her work than anyone had seen before. 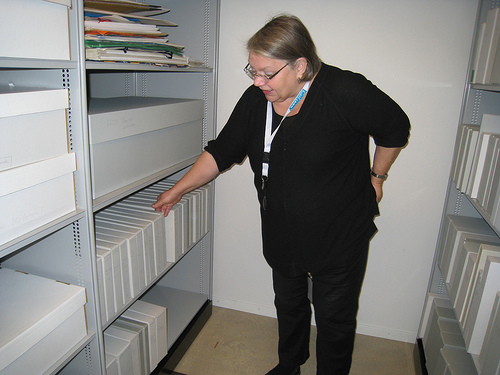 Astrid Lindgren’s private archives fill up more than 140 shelf meters and are the largest private archives in the library – and probably in Sweden. All kinds of documents are included, from letters and drawings from children and adult readers around the globe, business letters, royalty records, press clippings (some 100 000 from the early 1940’s up to 2007), to books from her private library in the summer house. The number of letters have been estimated to ca 75 000 – season and birth day greetings not included. Fourteen sacks of letters arrived to her 90th birthday alone! There are letters from royalty, e.g. an African King, statesmen, colleagues, publishers, translators, researchers, psychologists, entrepreneurs and other professionals but most of all from people all over the world who loved her books. One or two also from those who disliked them. There are letters from Korea, South Africa, Greenland and the Seychelles, and there are letters in Esperanto, short hand and Braille. There are letters the size of a square meter and very tiny letters. There are also about 1000 carbon copies of letters sent by Astrid Lindgren herself. An essential part of the archives includes close to 600 typed manuscripts to most of her books and movies but also to e.g. speeches, obituaries and early stories from the 1930’s. In addition there are some 660 short hand notebooks (almost impossible to decipher). Astrid Lindgren always wrote in shorthand before she typed her manuscripts. Most of the material is available for study without restrictions, but for letters and short hand notebooks you need a permit from the donor and copyright holder (info@saltkrakan.se). All material is under copyright. 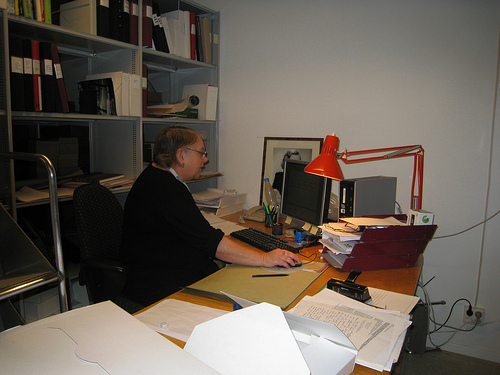 Inquiries should be mailed to the Manuscript Department of the National Library (hkb@kb.se). In June 2005 Astrid Lindgren’s archives were included in the Unesco Memory of the World Register, link here.